The ugliest unis in the game today…we report, you decide. The baseball uniform is something of a curiosity. I think we can all agree that baseball did the world a favor by bringing us the baseball cap. But in what other sport are players required to wear a thick belt, tapered white stretch pants, a glorified pajama top, and stirrups?! One ugly uni down, so many more to go. Which teams do not shine? Which uniforms do not express vibrancy? Which are not dressed in a manner that invokes the magnificence of life? It’s like they couldn’t decide on one concept (pinstripes? basic black? expansion team purple?) so they just randomly mashed them together. Pintripes! Piping! Purple pit-stain concealers! 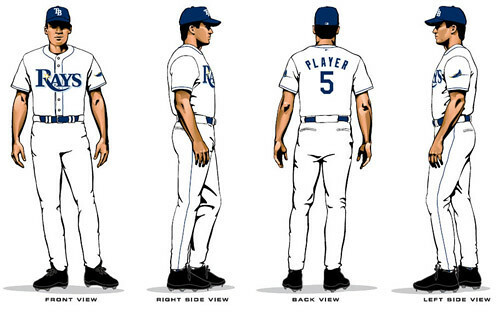 Sartorial ADHD!Plus, I just don’t think it looks quite right on a baseball uniform to have the number on the front. Come on, folks. This isn’t football. The Toronto Blue Jays seem to think they are playing baseball in the future, with these space-age fonts. In addition, the color scheme is about as cheerful as a rainy day at a funeral parlor in Toronto. That is to say, not very. Plus, there is just no way to jazz up a songbird and make it look intimidating, sleek, or otherwise “cool.” Thus, when going with a bird mascot, it’s best to just represent the bird literally and embrace the dorky Audobon Society-feel of it all. The blue is too blue. There’s a number on the front of the vest, and the font of said number totally clashes with the font of the giant “T.” And worst of all, the team name appears nowhere on the ensemble, leaving the impression that this team (whoever they are) has been brought to you by the Letter T.
Finally, I have never liked the Marlins’ attire. Black looks good with some colors (such as orange…here’s lookin’ at you, Baltimore, Detroit!) but it just looks dated with paired with …seafoam? Plus, the ginormous, stylized swoosh on the jersey looks like something I would have thought was wicked awesome back at the Nashoba Brooks school for girls. And if you’re going to do pinstripes, the rest of the uni has to be clean. Simple. Elegant. Not cluttered with numbers, piping, underlining, frontal uniform numbers, and a freakin’ fish. But iceless, do the SHOES match the BAG? Iceless, Washington is green year ’round because it’s filled with conifers, aka evergreens. And the M’s hat is the same blue as the Yanks, Sox, and Tigers. Their uni is one of the best. Best uni – Tiger’s home. Johnny, the Tigers home uni does have to be one of the best. Maybe now that I’ve thoroughly ripped the losers in the uni-wars, I’ll laud the winners. Though that will probably be less amusing. Looking at the best designs would be cool, especially if you point out the details. Check it out on the Tigers’ home uni – the cap and the shirt D are different, but they are both good clean designs variants of an olde english D. That’s odd but very cool. Now look at the interlocking NY on the Yanks home uni – the hat NY is sharp, but the shirt NY is UGG-LY, with a way-too-wide Y. The Padres have the worst uniform of any sports team on the face of the planet. Camouflage and baseball, wait, camouflage and anything other than military do not mix! But that’s a specialty uni, not their regular uni! I feel like specialty unis deserve their own post….watch this space. Agreed that specialties need their own space…but the “traditionals” need comment…how about the terrible choice Toronto made with their new ‘T” logo acouple years ago…it looks just like the old Tampa Bay logo. Round and round we go. Either leave it alone or get some originality please. Shoe, these are current unis. For old unis, click here. 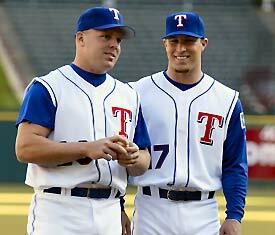 The biggest uni problem I have in baseball is with the vest things. 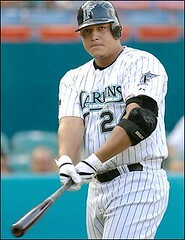 Great on the NBA court, but I do not like it on the baseball field. Just looks weird. Ugh!!!! I think we can all agree that the St. Louis Cardinals are pretty much the gold standard clean design, heritage and class. 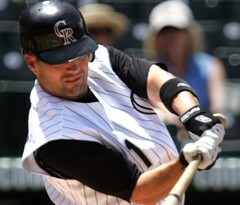 No colored alternates, no vests, just classic road grays and home whites. And those birds on the bat are basically unchaged for more than 100 years. The orange and blue was somewhat classy? Now these ugly faded grey and blue make them look like a beer league team. Doesn’t help the image when you are 10 games under .500. I agree with u on all these except for the blue jays. I feel that the jays have one of the best jerseys in baseball. The Tigers wear midnight navy blue (same blue as the Yankees), not black. Perhaps it should be black since tigers are black and orange, but it’s not. It’s blue. I agree those Texas unis look a little off, but I don’t agree for all the same reasons. There’s nothing wrong with the blue (it looks classic on the Dodgers), it’s that royal blue and scarlet don’t go together. They look like Captain America. Scarlet can go with navy, but not royal. Scarlet is the brightest of the reds and royal is the brightest of the blues, so mixing them is too much bright on bright. The juxtaposition of the two different fonts on the front is a bit weird, but there’s nothing wrong with just a T for the logo, especially since it’s the home uniform. The Yankees would win almost any poll (except one taken in Boston, perhaps) for most classic uniforms, and they don’t have the word “Yankees” appear anywhere on their uniform, home or road. If you had just the T on Texas’s road uniform, it might be weird, but it’s consistent and works for a home uni. I can’t believe the Mets are not on this list! Once they adopted black as a third color, their uniforms have been vomitrocious. Plus, they have about twenty-seven different uniform combos. I think they’ve actually gone through entire nine-game homestands without wearing the exact same uniform twice. 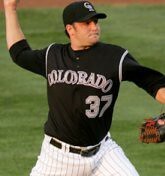 The White Sox need to be on the list simply because they started the whole all-black alternate jersey craze back in the ’90s, which was the worst thing to happen to baseball uniforms since the stretchy-pants, mix-n-match trend in the ’70s.